Ashton Building Systems take pride in the wide range of roofing and cladding services we offer our clients and partners. From complex refurbishment projects in schools and office buildings to house repairs and commercial new-build contracts, our industry experience is second to none. We pay careful attention to our clients’ needs in order to supply the perfect roofing and cladding product for every job. ABS are licensed manufacturers of custom roofing panels & products. We design and manufacture specialised roofing solutions to meet each customer’s unique requirements. Ashton Building Systems are committed to carrying out high-standard roofing and cladding installations using quality materials. We supply a wide range of products from the roofing industry’s most trusted and innovative manufacturers. We deliver to the project site on schedule and ready to install. Design and quality products go a long way to guaranteeing the performance and longevity of new roofing or cladding system. However, the most crucial component of every successful project is the skill and experience of the installing team. We employ installers with proven experience and knowledge of the techniques particular to the roofing and cladding systems we supply. By ensuring our team are fully-qualified we can guarantee the standards of workmanship that will meet our client’s expectations. As part of our rigorous project management policy our appointed technical supervisor carries out regular inspections throughout the duration of all projects. Ashton Building Systems have many years experience and expert knowledge of the roofing and construction industries. We’re used to dealing quickly and effectively with a wide range of roofing repairs and problems. 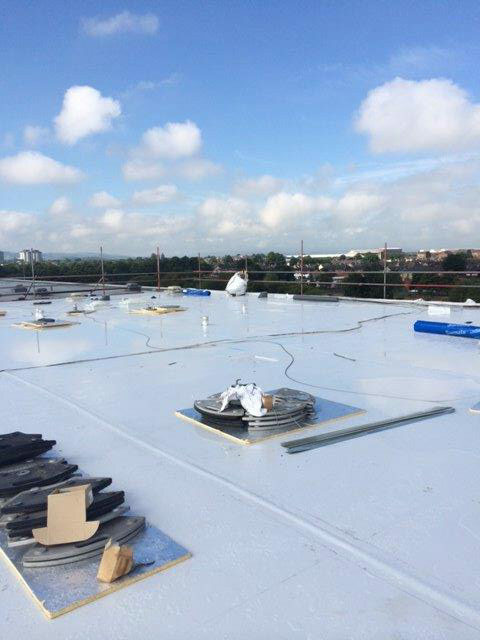 We can provide free, initial advice from our technical manager and carry out detailed roof surveys to identify the source of water ingress or damage to existing roof coverings. 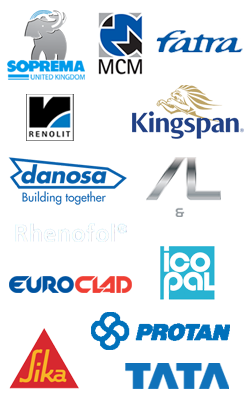 We’ve formed close relationships with many of the roofing and cladding industry’s leading suppliers. We use products from a wide range of trusted manufacturers to ensure our clients have as many options as possible without compromising on quality. Our hands-on approach to every roofing project we undertake means we are able to guarantee high-quality workmanship, rigorous safety standards and complete customer satisfaction.